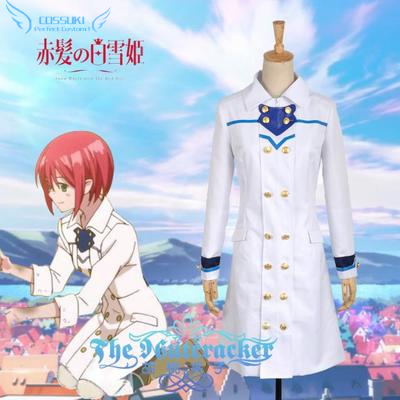 Akagami No Shirayuki hime Shirayuki White Snow Coat Cosplay Costume , Perfect Custom For You ! This costume will be finished untill Jan. 2018, if you need it urgent, please don\'t order now, or contact us before make order, thank you so much! When you order this Cosplay Costume, please offer us your measurements: gender,height,weight,bust,waist,hip,shoulder,arm length,upper arm circumference,thigh circumference,inseam , so that we can give you a correct size.